* Clokwise emphasis on fluency develops confidence in listening and speaking, covers functional/situational areas, and activates passive language. * Students also check and develop core grammar, and extend their active vocabulary. * Other areas include pronunciation for clarity of communication, practical skills (e.g. speed-reading, listening for information), and writing key text types. 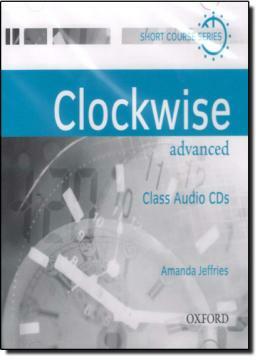 * Clockwise takes a regular look at features of spoken English, conversational tactics, high-frequency idiomatic vocabulary, collocation, and word-building.